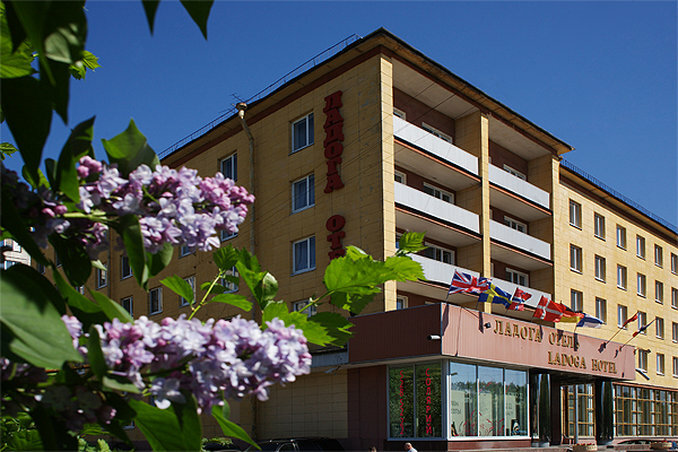 The Ladoga Hotel is located in ecologically clean city district close to St.Petersburg historical centre (within 15 minutes from Nevsky avenue and 5 minutes from the Novocherkasskaya metro station). The hotel features 111 rooms of different categories: Standard rooms with single and double occupancy, Superior rooms. All rooms are equipped with TV-sets (cable and satellite television), telephones with local and long-distance access, safes, bathrooms with a bathtub and a shower. There is a lobby bar and a restaurant on the ground floor of the hotel. The restaurant accommodates up to 150 people. It offers traditional meals of Russian and European cuisine. It's possible to organize a banquet, a group lunch or dinner, a coffee break here. There are two banquet halls next to the restaurant (each for 50 seats) that may be united for one event (250 seats in total). 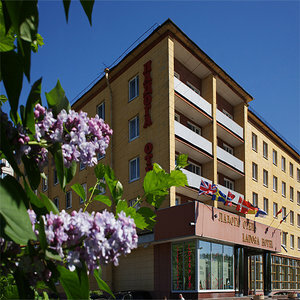 The Ladoga Hotel also offers a conference hall for up to 40 seats. The following equipment is available for lease: computer, VHS player, flip chart, overhead projector, screen, TV-set, microphone. The following additional services are available at the hotel: guarded parking, currency exchange, cash point, hairdressing parlour, souvenir shop, sauna (lounge, mini-pool, Finnish steam room), laundry and dry-cleaning services, secretarial service, taxi call.